The effects of highway infrastructure upon property values vary according to the type of construction that is already in place or currently being proposed. Roads that provide access to communities and business for “smart” growth will increase property values. Roads that serve as barriers, or redirect traffic away from particular areas, will cause property values to fall. Secondary routes, which provide access into your area by signaled traffic lights, increase property values. Newly constructed and well-maintained highways and side streets are good places for commercial and residential development. The impact upon property values related to principal routes, such as expressways and multilane highways is mixed. Interstates have been tied to both economically vibrant corridors and urban blight. Businesses often cluster around highway exits that carry traffic off and onto a major freeway. The highway interchange provides convenient access to the area, which promotes growth. Home builders typically advertise close proximity to major highway exits as selling points. 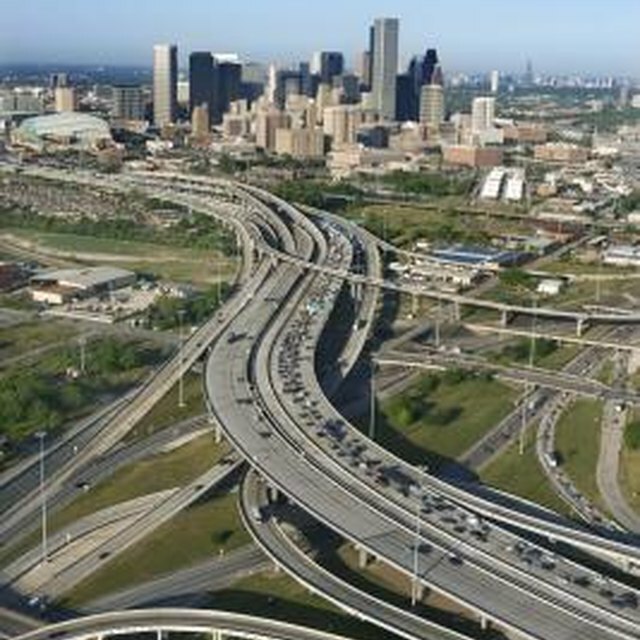 Large highways can serve as barriers to divide regions, economically. Robert Caro, author of "The Power Broker," cites Robert Moses' design of the Cross Bronx Expressway as the direct cause for uprooting stable communities and isolating the South Bronx as a notorious inner-city ghetto from the rest of New York City. Property values fall when new roads are built that redirect traffic away from an area. For example, the interstate highway system has led to the decline of small towns that are away from the interstate. Traffic is more likely to use the main highway, than to patronize businesses along what have now become back roads. In fact, large sections of historic Route 66 are now abandoned because of the nation's interstate highway build-out. Meanwhile, development increases alongside new routes that direct traffic into an area. Property values advance when communities grow. Steve Anderson, author of NewYorkCityRoads.com, attributes the development of Staten Island to the 1964 opening of the Verrazano-Narrows Bridge and the I-278 connection. Says Anderson, "while the populations in the other four boroughs held steady or even declined, the population in Staten Island more than doubled in the years that followed the bridge's opening."